J&L X-Press offers Regional Truckload Services with capacity to suit your needs, and low prices to fit your budget. Whether your company needs pop-up, contracted or seasonal truckload services, J&L X-Press can customize the best capacity solutions for your operation. Our full truckload, LTL, TL, and cartage services provide streamlined, efficient, reliable, always-on-time delivery across Southwest Michigan, the Midwest and North America. As a subsidiary of Clark Logic, J&L X-Press has access to a wide assortment of equipment – and a diversified portfolio of transportation services – that enables us to rapidly, safely and cost-efficiently meet your most critical on-time expectations. Because we have our own network of trailers and skilled drivers, J&L X-Press can hit the ground running, and be more responsive than many other contracted services. Additionally, all of our trailers are equipped with the latest technology to track and measure capacity, which improves visibility into your supply chain. 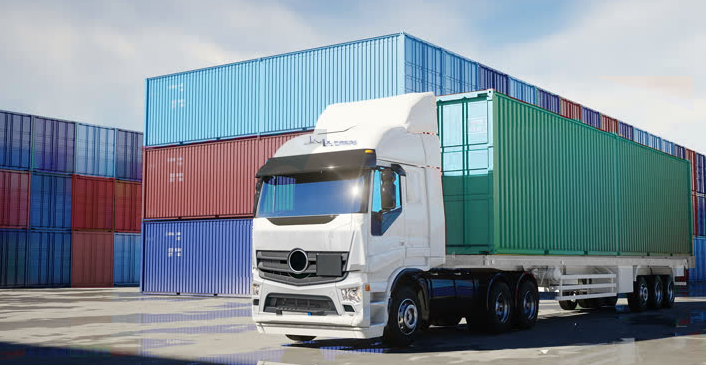 J&L X-Press long haul, regional and local truckload capacity can drive out shipping inefficiencies in your supply chain – shortening delivery times as well as improving your bottom line. No matter the freight you’re shipping – from paper to metal to refrigerated foods – J&L X-Press offers dry van carriers that meet your needs and your standards. Our dry van truckload rates are among the most competitive in the Midwest, Southwest Michigan and Northern Indiana – for both short and long haul deliveries. J&L’s reputation for dry van customer service, reliability, safety, and on-time delivery is unparalleled. We also provide full service dry van shipping for hazmat, expedited and high volume cargo. We own the latest generation of carriers for hauling loads requiring temperature control. Whether you need to transport frozen, refrigerated, perishable or temperature-sensitive products we offer a wide array of solutions, including truckload, intermodal, and LTL refrigerated services. Our perishable product experts handle every aspect of your temperature controlled shipment, carefully and strategically packing, tracking & tracing every load. And, through Clark Logic Subsidiary CMS, we have access to tens of thousands of square feet of temperature controlled warehouse for your storage needs. J&L X-Press Open-Deck & Flat Bed Truckload Services can transport freight of any size and shape. 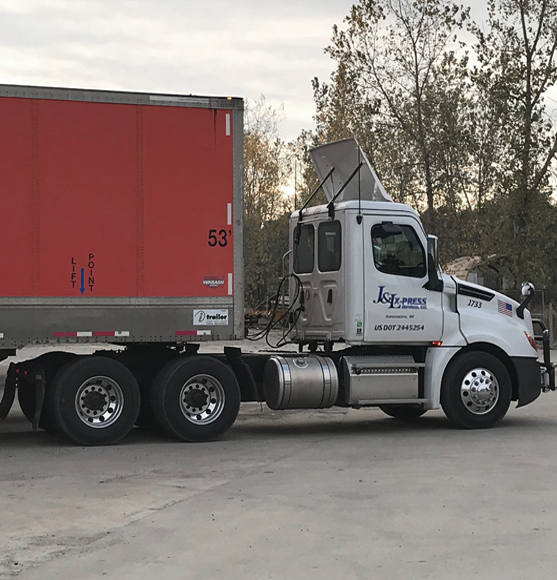 If your shipment doesn’t fit inside a traditional enclosed trailer or van, or if you need a specific or unique load configuration, J&L X-Press’ open-deck experts offer affordable, alternative transportation options. Our arsenal of flat-bed trucks and network of TWIC-certified drivers is available on a pop-up or scheduled basis. We take care of every detail – from the chains, binders, tarps, and straps, to the permits, escorts, routing, and surveys. And our team leaders manage and monitor every movement so your flat-bed transit is seamless.